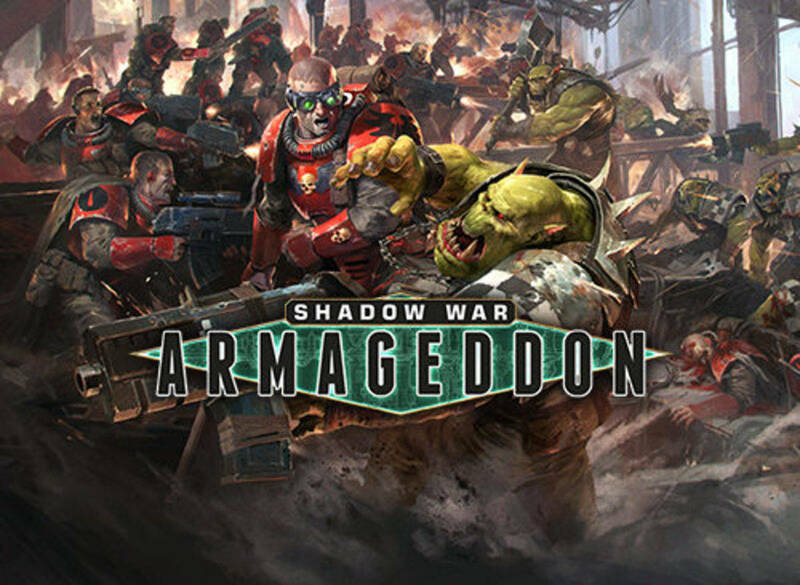 TheGM: The Corvus Cluster is engaged in a small tournament-style mini-campaign using the recently published rules, Shadow War: Armageddon. so it seems worthwhile to review the rules. Let’s get to the bottom line: It is an adequate set of skirmish rules that provides players will all they need to fight small-unit battles in the Warhammer 40K universe. The stats for warriors and weapons reflect the genre, but if you are a fan of another set of skirmish rules—and you’re willing to do stat conversions—you don’t need Shadow War. Finally, don’t get me wrong. I like the rules, and I’ll be using Shadow War for my 40K skirmish gaming. For another—call me brainwashed, if you will—I’ve bought into the Games Workshop mindset of staying “pure” to the hobby and only using GW products. Yes, we all know GW encourages this thinking to sell product, but what would you expect? And, for many hobbyists, putting limits on their options has led to some truly amazing creativity. Who knew you could so many things with those figs? The setting for these rules is the war-torn world of Armageddon, but it’s pretty weak fluff. As Shadow War is about small-unit warfare, I will be using it for small skirmish actions in the Corvus Cluster, and I anticipate coming up with a wide variety of narrative backgrounds to justify this fighting. The game is set up for a small tournament-style campaign. You start with a set number of points with which to purchase a leader (say, a sergeant) and up to nine infantry models, two of whom can be weapons specialists (such as a sniper). The orks are an exception, with a maximum of 20 models allowed. In the campaign game, after each battle, you have the opportunity to replace casualties, improve the skills of your warriors, and purchase more equipment. Live long enough, and you’ll have a pretty tough fighting team. But this is the game designer’s approach. Obviously I can use the point system to develop a larger force—such as a squad per player—and fight battles with 20, 30, or more models. I can even convert the 40K stats to allow some vehicles (although anything more than transports or walkers will be unbalancing for a small fight). Each figure has its own movement rate. If players wish, they can forego shooting and move double. Shooting is similar to 40K, with to-hit and to-wound rolls, although the weapon abilities and fire modifiers are different. For example, a Tau burst cannon can fire a single shot, a short burst (d3 shots), or a long burst (2d3 shots). In all cases, if you roll a six to-hit, your weapon runs out of ammo, so the more you shoot, the greater the risk. (I think running out of ammo only works for the fluff of struggling warbands in the underhive of a hive city. When my Space Marines go to battle, I’ll switch the out-of-ammo roll for a jammed-weapon roll. What Astartes runs out of ammo in a quick fight? Weapons work differently with these rules. More powerful weapons are more dangerous. A boltgun round, for example, will cost a model a -1 to its saving throw. There is no charge phase. If you move into contact with your opponent, you’re both locked in combat. The melee modifiers are different, as models roll to “win” the melee, and depending on the dice results, the winner may be eligible to make multiple attacks. Space Marines and Eldar Harlequins are a terror, as they should be. Morale also is different. Once your force receives 25-percent casualties, you must roll a “bottle test” each turn, with failure meaning that your force decides the cost of continuing the fight isn’t worth the effort—and they run for the hills. That makes sense. If I were in a fight, I’d run on the first turn. What makes Shadow War work for me are the special rules that set the rules apart from the traditional game. • Overwatch: If a model doesn’t move, it may go on Overwatch. This allows you to shoot at any time during your opponent’s turn. Thus you can wait for an enemy model to cross a street and fire upon it while it’s in the open. Oversight also offers the opportunity for a model to fire upon an enemy unit charging it. • Hide: If a model finds itself in a bad situation, it can Hide. Basically, if you’re in cover, you can duck out of sight. You cannot shoot, but as you cannot be seen, you cannot be targeted by enemy fire. Pinning: When a model is hit by fire but not wounded, it is Pinned. The model is laid on its side. It loses its next turn unless it is within 2″ of a friendly unit, a situation that allows the model to make a Leadership test to shake off the Pin and move normally. Faction-Specific Rules: Each faction has its own unique abilities. For example, Space Marine Scouts have the “And They Shall Know No Fear” rule, which allows a model to roll a Leadership Test to shake off a Pin even if no friendly model is within 2″. Tau models within 3″ of a friendly model that is being charged can fire on the charging model even if not on Overwatch. Shooting: I really like the modifier for a target that’s running. It makes sense that, if you’re running, you’re harder to hit. Wounds: A model doesn’t necessarily die when wounded. Roll a 1, and you survive with a -1 penalty to your WS and BS. Roll a 2-5, and you’re “down,” meaning you can crawl to safety but otherwise are incapacitated until you determine your ultimate fate (you make a roll every turn). If you roll a 6, though, you’ve bled to death. The campaign rules are perhaps the strongest element of Shadow War. Essentially a series of tournament-style games, players start with a basic lineup of troops for their faction. As they play games, they can advance their models and purchase more troops or equipment. In the fluff of the game, these are small warbands fighting for “promethium caches,” and whomever collects the magic number of caches first is the winner. For me, this fluff is easily adjusted. Right now, we’re fighting a series of skirmishes between the trench lines outside the port city of Pradeep on Dar Sai. There are a variety of scenarios, and they’re easy to adjust to any narrative. For example, one scenario focuses on collecting promethium caches in the ruined landscape of Armageddon. For our Pradeep fight, I simply gave players a briefing that said an Imperial aircraft crashed, and the Tau want pieces to study, and the Imperium wants to deny that intelligence to the enemy. Same scenario, more appropriate narrative. I also should mention another positive aspect of the rules. You can wrap up a game in 20 to 90 minutes, depending on how accurately your models are shooting (ie. your dice rolls). You get a fast-paced game, with plenty of opportunities to exercise your tactical skill—and enjoy the “flavor” of the 40K universe. Is Shadow War going to be everyone’s cup of tea? Hardly. But, as I said earlier, it’s a nice, fast, simple set of skirmish rules that allow you to play 40K battles without a hassle. They’re fast. You get a good game out of it. And, most important, it’s fun. I’m glad I bought the rules.